The data privacy scandal surrounding Facebook has raised questions on how big companies are collecting in-depth data of their customers. While Facebook is facing criticism over how it handled the Cambridge Analytica scandal, there’s also the question of the kind of data that Google, the other big internet giant, has been collecting from its consumers. or many of us, Google and its array of services are convenience unlike any other. For search, there’s Google, for our daily commute there’s Google Maps, for entertainment, many of us turn to YouTube, then there’s Gmail or Inbox for our daily communication, Google Photos for storing our pictures on the cloud. There’s Google Plus as well though it was never a big hit. Such is the scale of Google’s top products that most of them have over 1 billion users. And that’s a lot of data. Remember, Google had one single data policy for all services. What Google does with your data is something that you can actually view in the account settings, from your Google Maps data to whether you have personalised ads turned on. Here’s how to make sense of all those Google settings around your data and how to download your data archive. First, how to manage your Google activity and data? 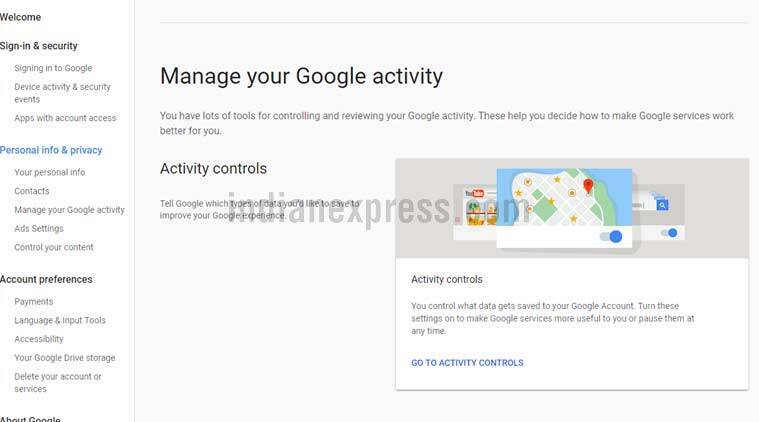 The main page to manage all your Google activities.In order to manage your data preferences, you can just go to myaccount.google.com and view almost all of the settings, including the ones around data use. Alternately, on Gmail, tap the icon where your account profile picture appears and the option for my account should open up below this. Now in My Account settings, there will be one option for Privacy Checkup. You can take this and manage your privacy settings for YouTube, Google Photos, Google Plus, etc. This is a pretty comprehensive and exhaustive list for hiding some of your activities on Google’s Products. For example, you can say that on YouTube, Google should keep all of your subscriptions private. There’s also the option of letting others connect with you on Google. For example, if you have shared your mobile number with Google, then there is the option of “Help people who have your number connect with you across Google services.” One can turn this off. Google will also help them find your name, photo, and other information that you’ve made visible on the site. Again this can also be turned off. Alternatively, one can go to Personal Info and Privacy, and there is an option for “About Me”. A user can edit this to see what information will be available to other Google users. You can restrict your Google Plus profile or date of birth or where you work to just your contacts. The other interesting part of this My Accounts page on Google is the Activity Controls. This is available at myaccount.google.com/activity controls. 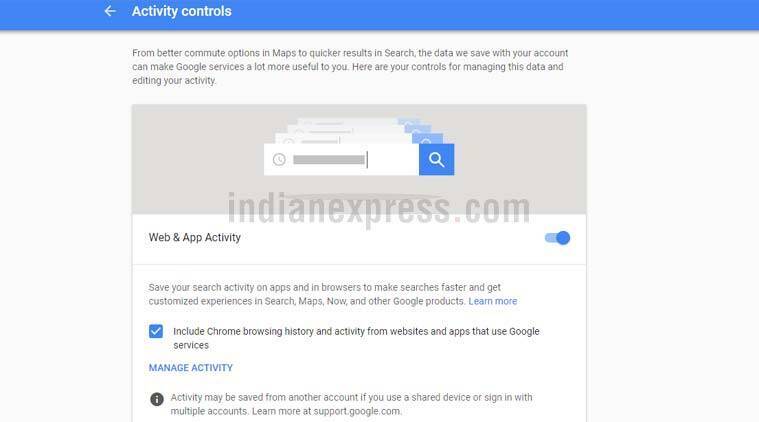 Here’s how to control what web activity of yours is stored by Google. So what is shown on Activity Controls in Google? Here’s where the scary parts begin when it comes to the kind of data that Google services have amassed. In here, you can see if you have the first option which says, Web and App Activity, where Google saves all your search activity on apps and in browsers. Yes, everything you search for on Google is saved here, unless you explicitly turn off this setting. Google says “this is done to make search experience faster and more customised.” It also includes Chrome browser history. Again a user can go and manage each of these activities and turn them off. The list of stored activities includes Location History, Device Information, Voice & Audio Activity and YouTube Search History and YouTube Watch History. In YouTube users have the option of pausing all this search history from being collected. Google Voice and Audio recording activity is supposed to help the Google Assistant. What’s this voice and audio activity that Google is recording? Remember Google Assistant and how it is supposed to be convenient. One can simply say a command to carry out tasks on Android. 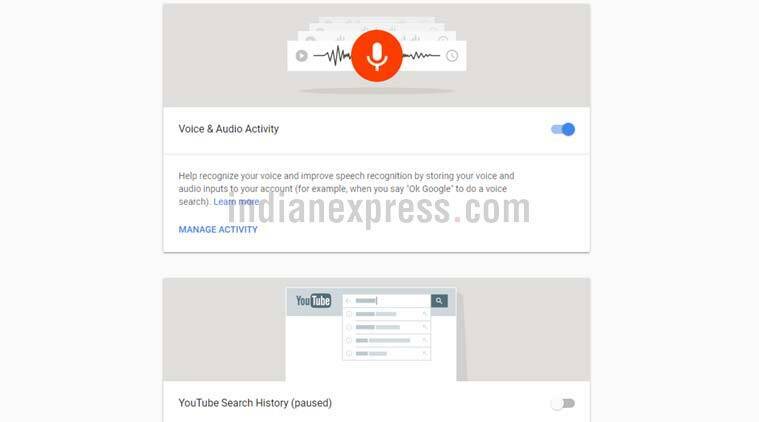 According to Google’s description for this section, Voice and Audio Activity, “Help recognize your voice and improve speech recognition by storing your voice and audio inputs to your account (for example, when you say “Ok Google” to do a voice search). ” So every single voice command you have given to Google Assistant and more is stored here. Again users have the option of turning this off. Just toggle that blue button off. You can also go to Manage Activity and see all the recordings and just delete them if you do not want Google to have access to that data anymore. Your Google Maps timeline has a compact history of everywhere you’ve travelled if you have location history turned on. Google Maps might be convenient, but if you have location history turned on it, it will show exactly where you went, what date, how much time it took, the mode of travel, etc. The timeline of your entire travel history is right there. 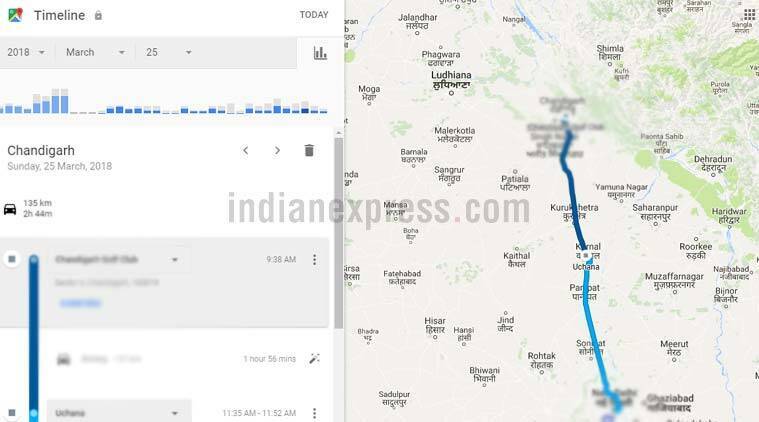 A user can go to http://www.google.co.in/maps/timeline and see all their past travel history. Or in the My Activity settings, click on Manage Activity, followed by Manage Location History and toggle it off if you do not want this being collected anymore. It should be noted that Google says all this timeline data is only visible to the user and not shown to any third-party. Still, this is a pretty accurate picture of all your travels. Downloading all your Google data: Here are the simple steps. How do I download all my Google data? Chances are if you have been a Google user for many years, and been on Android as well, there’s a lot of data about you that has been collected. It should be noted that in most cases, users give permission for this data to be collected, though of course, considering the array of popular Google services, it ends up being a lot of data. One can go to google.com/takeout and download all their data. 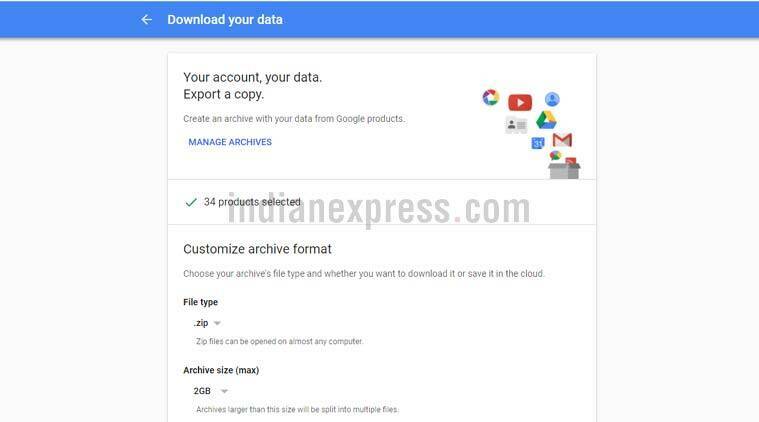 Google data can be downloaded as a zip file and this will include all your documents from Google Drive, your data from Google Fit app if you use that, your notes from Google Keep, YouTube data, etc. 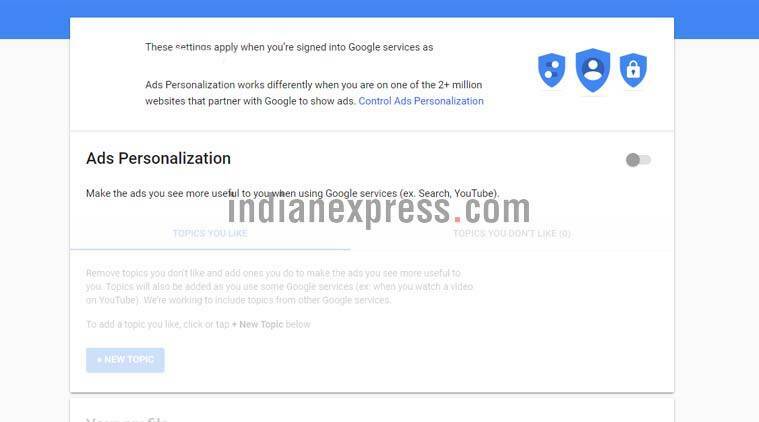 Here’s how you can turn off Ads Personalization on Google. What about ads and targeting? I want to turn this off. Thankfully Google’s Activity controls do allow for users to turn off personalised ads. In MyAccounts, Go to Ad settings, and you will see an option for ‘Personalise the Ads you see.’ Click on Manage activity and then turn off this particular activity. Google says “Ads Personalization works differently when you are on one of the 2+ million websites that partner with Google to show ads.” These ads are supposed to be more useful and relevant when using Google Services but they are also targeted based on your search history, your interest in some topics, etc. At the bottom of this page is also another option for opting out of more ads. This will lead to a link for “WebChoices: Digital Advertising Alliance’s Consumer Choice Tool for Web.” Here there will be names of various companies and you can choose to opt-out of customised ads from all these players while browsing the web on your desktop.